Can new bipartisan group break through divisions and build reform consensus? American health policy is stuck in a deep political rut. Now a bipartisan group of prominent healthcare, political and not-for-profit leaders have come together to try to build a public consensus for how to reform the system. The new not-for-profit group launched on Tuesday is called United States of Care and promises to move beyond partisan politics and find politically sustainable ideas to ensure that every American has a regular source of affordable care, no one faces financial devastation due to an illness or injury, and that any solutions are economically responsible and have broad political support. You are forgiven for your initial skepticism. But what are the alternatives if not finding consensus and compromise? "It's very hard to negotiate things that are acceptable to both sides of the political spectrum, particularly if you consider the left fringe of the Democratic Party and the right fringe of the Republican Party," said Dr. David Blumenthal, president of the Commonwealth Fund and a historian of health policy. "But American politics has gone through many changes over the centuries. It's not impossible to imagine another political or policy window opening." Starting this month, United States of Care plans to hold public listening events in Minnesota, North Carolina and Utah bringing together residents, elected officials of both major parties, healthcare leaders, academic experts and patient advocates to discuss what they want to see from the healthcare system. Andy Slavitt, founder and chairman of United States of Care and former acting CMS administrator during the Obama administration, said he and former GOP Sen. David Durenberger will lead the listening tour in their home state of Minnesota. Dr. Mark McClellan, a Republican who headed the CMS and the U.S. Food and Drug Administration, will lead the tour in North Carolina, while Mike Leavitt, Utah's former Republican governor and former HHS secretary, will head up the Utah sessions. 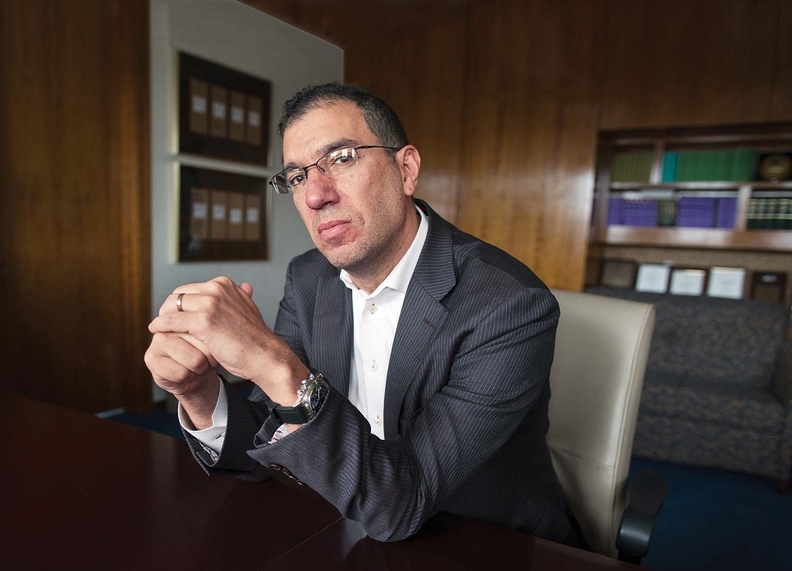 The group lists healthcare affordability and financial protection as its goals, but Slavitt declined to describe its goal as universal health coverage. "We believe every single American should have access to basic, affordable care," he said in an interview. "But we avoid using language like universal coverage that is polarizing. We want to bring people together, and certain words are used by one party or another to create divides." The group's board of directors and founders' council includes healthcare industry heavyweights such as Kaiser Permanente CEO Bernard Tyson, Ascension CEO Anthony Tersigni, Trinity Health CEO Dr. Rick Gilfillan, Allina Health CEO Dr. Penny Wheeler and Montefiore Medicine CEO Dr. Steven Safyer. There are no pharmaceutical or medical-device industry leaders on the board or leaders of for-profit hospital chains. "Healthcare will be stronger if we gain consensus on expanding coverage in a more efficient way," Tersigni said in a written statement. While most of the Republican board members would be considered moderate conservatives, they also include people further to the right such as Douglas Holtz-Eakin, a former Congressional Budget Office director and John McCain presidential campaign adviser, and Hoover Institution health policy expert Lanhee Chen. The group will be funded by contributions from not-for-profit healthcare organizations, foundations and individuals who don't have a partisan political agenda, Slavitt said. It won't take money from for-profit organizations, trade groups or political action committees, he added. The formation of United States of Care follows a number of other new private-sector initiatives to transform U.S. healthcare, most recently a new partnership between Amazon, JPMorgan Chase, and Warren Buffett's Berkshire Hathaway to reduce employer healthcare costs. There have been a number of previous bipartisan, non-government efforts resembling United States of Care, like the Bipartisan Policy Center, to develop innovative policy solutions to the problems of coverage, costs and quality. United States of Care will differ from think tank-type reform efforts in that it will provide support to stakeholders on the ground at the state and local level to bring about change, Slavitt said. But he acknowledged that it won't be easy to gain agreement among the Republicans and Democrats on its board for reform proposals—let alone among partisans in the broader world—given the strong ideological differences over free-market versus regulatory approaches to healthcare. Many Republicans are seeking to roll back the Affordable Care Act's coverage expansions and consumer protections, while many Democrats want to junk private insurance and move to universal public insurance. "These aren't a set of people who will agree on every dimension," Slavitt said. "But our principles are kitchen-table principles that people in red and blue districts agree with." "At no point in the next year or two will politics magically change," he added. "Politics goes through cycles, and when the cycle changes, we want to have put in place the building blocks of state-based reforms and organized public opinion that will allow us to have a greater chance of success." Blumenthal generally agrees with that assessment but questions the group's prospects for success, at least in the short term. "I applaud Andy for doing it; he's a very effective manager and spokesperson," he said. "Maybe they'll have ideas that are truly different. But whatever they propose will require legislative action, and it's hard to predict what will come out." Still, Blumenthal is cautiously optimistic in the longer term about the country's movement toward extending healthcare access to more Americans. "We take a couple steps forward, then a step and a half back," he said. "But the arc of history bends toward coverage."